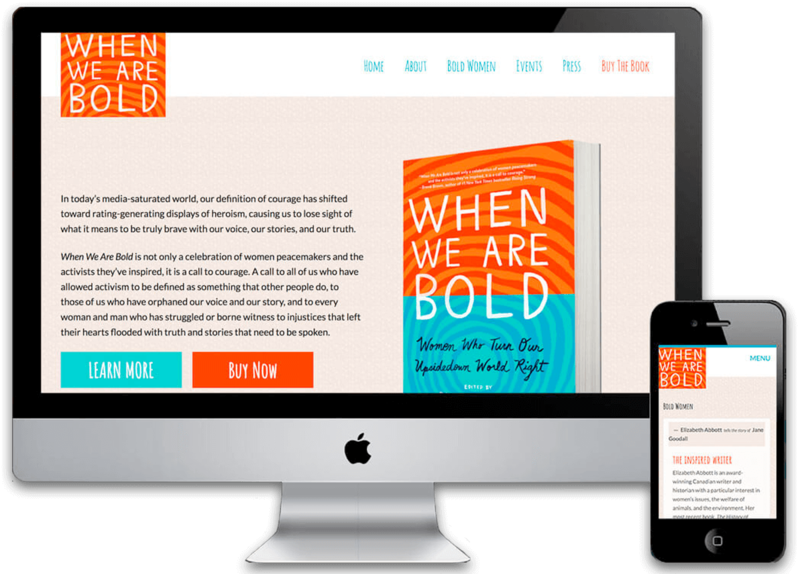 The client needed a completely new website designed and developer to promote their book about women doing amazing things. They wanted a design that played off the creative and colorful book cover and wanted to showcase the writer of each story with the woman they interviewed in an easy to understand way. The focus of the book is the stories of the Bold Women as well as the writers that were inspired to write about them. We needed a way to showcase lots of short bios which showed the writer with the woman they had wrote about and decided toggles would do the job! Each toggle shows the writers name and bio along with the associated bold woman they wrote about - the toggles keep the information displayed in a clean way. The admin area allows the easiest of data entry for this area by simply clicking a button and entering the data in it's related field. No coding needed to add or edit content! When We Are Bold is a book that focuses on the amazing things women are doing all over the world to make the world a better place. The website needed to be simple but match the aesthetic of the book cover and had to creatively display excerpts about the Bold Women and the writers who told their stories.